Car isnt my daily. 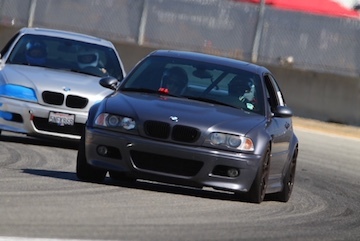 Will be doing track days. I realize i am a beginner. I realize seat time>hardware. I realize suspension is a game of optimization under whatever specific scenario. That being said, my blown bc coils arent going to cut it. I dont feel i need to spend much more then 3k range. Open to doing a trco. Would it be worth to just go for some mcs 2way remotes and never think ab dampers again? Are the singles worth it or would you just go 2way and be done with it? Last edited by Jaredomin; Wed, Jan-09-2019 at 01:59:24 AM. Not in your list, but I’ve been thrilled with my ISC N1s. $985 and they include camber plates, rear adjustable perch, and sway bar end links. Their customer support is great. I’ve emailed several times and usually hear back by the next day. The downside of the N1s is no adjustable caster, and no one makes a camber plate to fit them. I’m not at the point yet where a $4k setup or caster adjustability makes a difference, but I figure by the time I am, I can unload them for $500 and move into the MCS two ways. I recommend either jumping on the group buy for JRZ or go with TCK DA's. Ohlins, KW's are out the picture if your main focus is performance and that's not exactly what they excel at. Cream of the crop is obviously MCS and JRZ, but they can get pricey. Another thing you have to worry about is rebuilds. MCS and JRZ both require much more frequent rebuilds compared to TCK. I believe Obiobian has ran TCK DA's for 50k+ miles with no rebuilds. I'm also currently running them with similar preference of performance > comfort. I drive them on the crappy roads of San Francisco couple times a week. Albeit it is rough, but manageable. The performance is excellent on track and that's a sacrifice I'm willing to make. I would go with 2- or 3-way MCS remotes and know you have what many regard as the best damper setup available. I went with the N1 Track (rates are 560/672). They’re tolerable for a weekend toy or for driving to and from the track when set to full soft, but I wouldn’t want these on a daily driver. They also make a softer Street version (448/560). Another option is to swap the springs (they accept any 2.5” spring). Why would a beginner get 10-way adjustables, based on some of the suggestions? Doesn't sound like you've done much track time upto now? Learn to control or outdrive tck sa then upgrade if you feel you need to. I’m not sure i need podium quality at this stage in the game. Low interval rebuilds arent enough to deter me. Any idea how much 2way remote jrz would run me with this group buy? All times are GMT. The time now is 10:19:55 PM.